Graduate Schemes: Yay or Nay? | One year, one job. 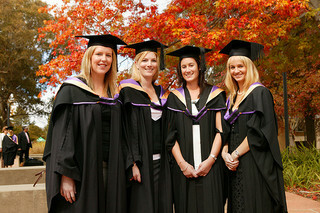 Graduate Schemes: Yay or Nay? Graduate schemes: It seems everyone has an opinion of them. But what is the truth? And are they a route that’s right for you? More importantly, what is the likelihood of actually getting a place on one? A Milkround article posted earlier this year found that thirty eight per cent of graduate employers felt their recruitment process saw them with too few applicants to choose from. Sure, whilst the figures for the big graduate schemes may be overwhelming (thousands of applicants for a handful of jobs), it’s important to remember that graduate schemes aren’t just offered by the big multinationals. And as for the media industry, we all know about cutbacks and stricter budgets meaning the huge graduate recruitment schemes of years gone by aren’t so obviously available, but that doesn’t mean that there aren’t still jobs for graduates in these industries, does it? Whilst there are great schemes run by the likes of BBC, ITV and Daily Mail, I’m not sure any of those are for me. So this leaves me with a question: would I rather try to be a small cog in a big wheel, or possibly a slightly bigger cog in a smaller wheel? At this point, I really don’t know. Maybe I don’t even have a choice. Hopefully over the next year I’ll be able to answer this question. For now though, my current plan for third year is to apply for a mixture of carefully selected jobs (whether they be titled ‘graduate’ or not) and see where that leads me.